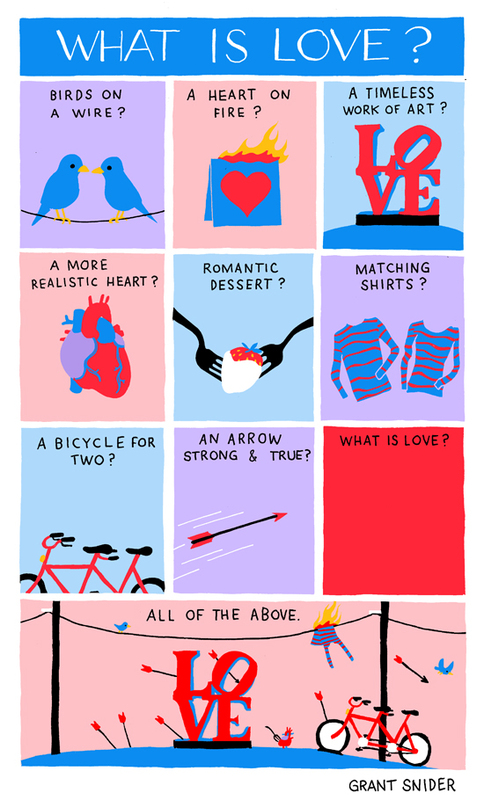 INCIDENTAL COMICS: What Is Love? The hardest part of writing about love is choosing just one metaphor. Great comic as always! Just missing one box to make it complete: "What is love, baby don't hurt me" a la Night at the Roxbury... or am I the only one who thinks that when I see "What is love?"